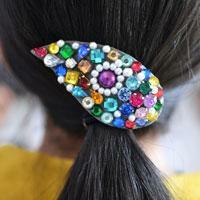 This tutorial will share a DIY hair barrette with you all, so if you wanna make bead barrettes, follow here to see HOW! 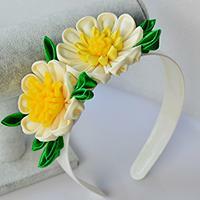 Love fashion ribbon flower hair clips? 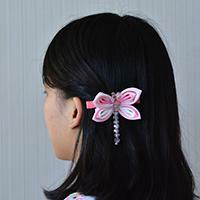 Then today’s tutorial on how to make ribbon hair clips may deserves your time to see. 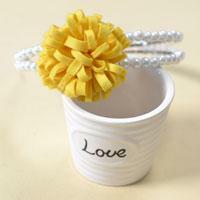 Are you grosgrain ribbon craft lover? If yes, you must fall in love with today’s Pandahall tutorial on how to make cute dragonfly hair clip made from grosgrain ribbon and glass beads! Do you love DIY hair pins? 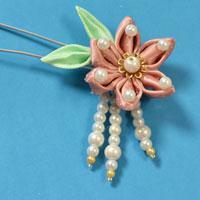 This article is about an easy wire wrapped hair pin with colorful jade beads. 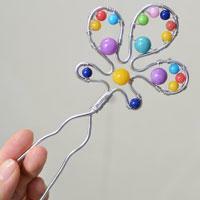 The following simple tutorial will show you how to make this wire wrapped hair pin. 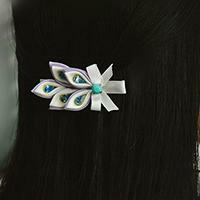 Wanna try simple hair clips? If yes, today’s Pandahall tutorial on how to make simple ribbon hair clips with white lace trim really deserves your attention! 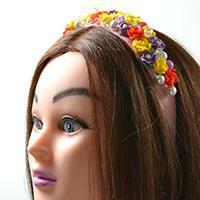 Do you want to DIY flower hair barrettes for little girls? 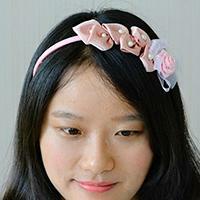 This Pandahall tutorial will tell you how to make a pink ribbon flower hair barrette for little girls. 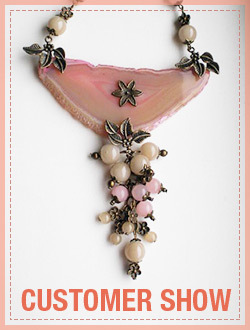 Wanna make wedding ornaments yourself? 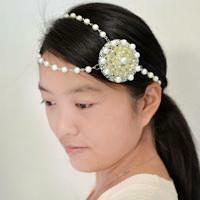 If yes, today’s Pandahall tutorial on how to make unique pearl hair ornaments for wedding really deserves your attention! 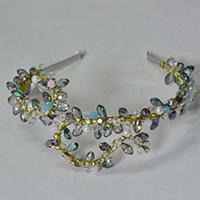 Are you interested in ribbon braiding? 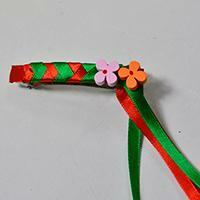 Today I will show you an easiest braiding pattern for ribbon in making a barrette for girls, hoping you like it! 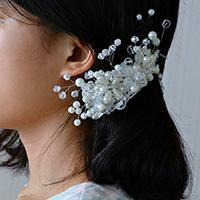 Do you like wearing DIY hairpins? 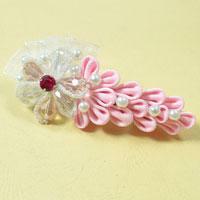 This article is about a pink ribbon flower hairpin. 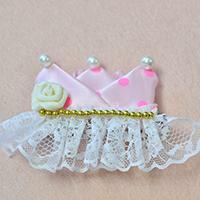 Read on the following Pandahall tutorial to see how to make this pink ribbon flower hairpin with pearls. 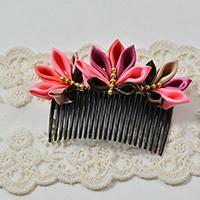 Are you interested in hair accessory? If yes, today’s Pandahall tutorial on how to make satin ribbon bow headbands for little girls really worthy your attention! 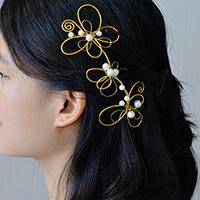 In this Pandahall tutorial, you can see an easy golden wire wrapped hair accessory. It's quite easy to make it. 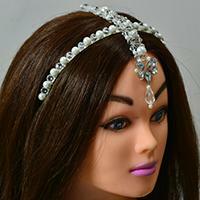 Hope you like this wire wrapped hair accessory and enjoy the process. 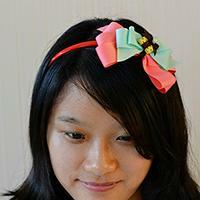 Wanna make ribbon hair accessories yourself? If yes, you will learn how to make it from today’s Pandahall tutorial on how to make Japanese hair comb with satin ribbons.